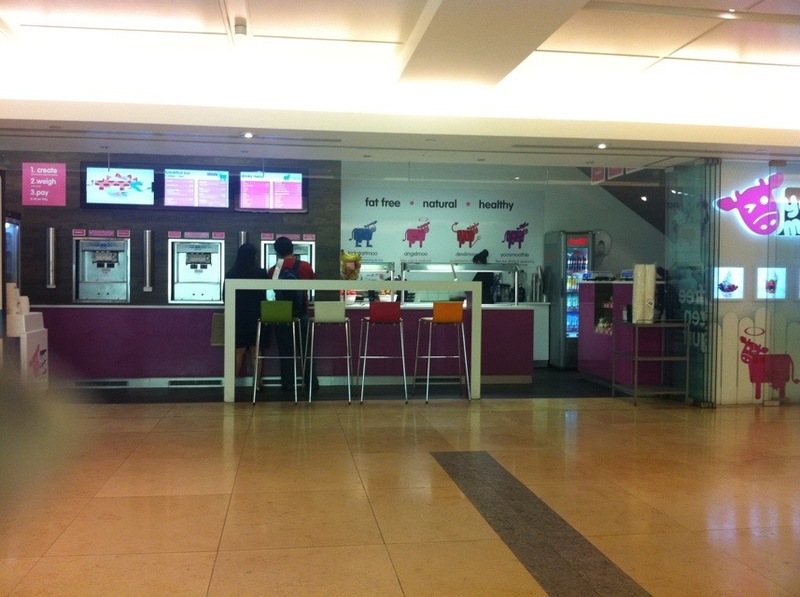 Today I got to go to London first self service fro yo, that’s frozen yogurt to you and me the new yoomoo opened it’s doors at 6:30am today at canary wharf. No I wasn’t there that early I came in the afternoon, the people at yoomoo were friendly explaining how the self serve works. Just like pinkberry in America there are machines waiting for you to create your own little pot of desserts. It cost £1.25 per 100g. I first sampled every flavor, the natural was out already. The flavors on offer original, strawberry, Belgian chocolate, Madagascan vanilla, coffee, caramel. You can also create a yootwist twisting 2 flavors. Even the toppings are self service, there was plenty to choose from. 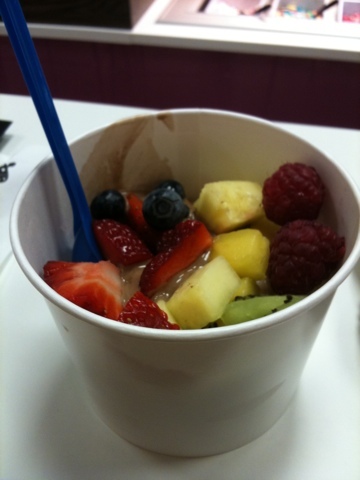 Strawberries, raspberries, blackberries, banana, kiwi, mango, milk buttons, chocolate honeycomb, marshmallows, etc. In the early mornings you can buy fruit pots, porridge, breakfast bars. 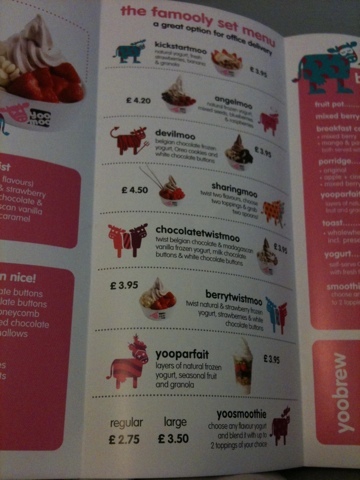 Overall the fro yo is very tasty, in comparison to Snog does not leave a sour taste in your mouth. 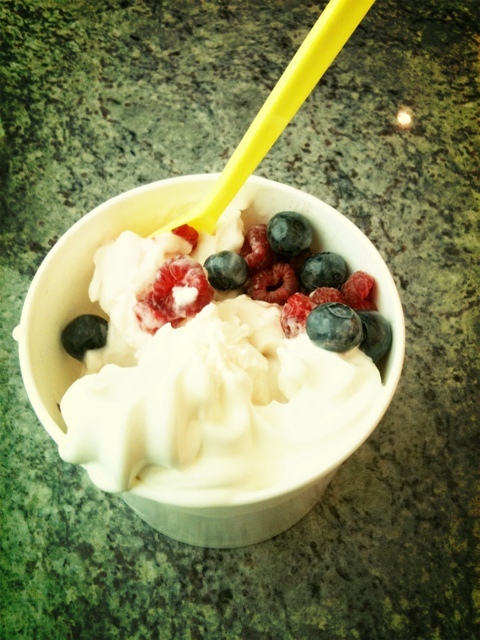 Strawberry was my favorite flavor, the frozen yogurt did started to melt by the time I finished paying. it cost me £2.76 including the toppings. For the following two weeks yoomoo is giving 15% discount all customers. Also sign up online and receive a buy one get one free voucher!